Know William Penn Class of 1975 graduates that are NOT on this List? Help us Update the 1975 Class List by adding missing names. I went to a lot of the dances, and had a blast. I loved looking at all the outfits, and simply dancing and hanging with my friends. I came from St. Peters to William Penn, a very large school. It was quite a shock. However, I made friends, and some very nice people. When I go back and look at all the comments on my Yearbook and all the people I met and the friendships, I have great memories. More 1975 alumni from William Penn HS New Castle, DE have posted profiles on Classmates.com®. Click here to register for free at Classmates.com® and view other 1975 alumni. 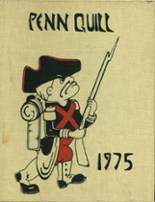 The students that went to school at the New Castle high school called William Penn High School and graduated in '75 are on this page. Register to add your name to the class of 1975 graduates list.